Slip and fall accidents are very common in the summer. People are outdoors exposed to all kinds of things that can put them at risk.In the unfortunate event of an accident, make sure a Ventura slip and fall accident attorney is by your side. Posted in Slip And Fall Accident on Thursday, Jun 15, 2017. Summer is already here. It’s a time to enjoy and to create lasting memories with family and friends. But what about when you slip and fall during one of those amusing summer activities? As you prepare to celebrate outdoors, it’s important you take some precautions in advance that will help prevent a potential slip and fall accident. 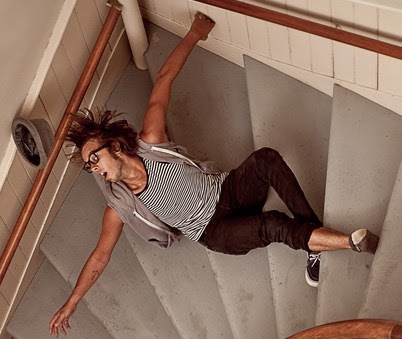 In the unfortunate event of an accident, make sure a Ventura slip and fall accident attorney is by your side. Be aware of your surroundings. Sometimes you are walking in a public place with dangerous conditions. Try to avoid any dangerous situation that may cause an accident. Wet or slippery surfaces are generally the main cause of most slip and fall accidents. If the floor is wet, walk a little slower or avoid the wet area if possible. When you see obstructions ahead, avoid them. Try walking in areas well-lit that will allow more visibility of poor floor conditions. Beware of summer footwear. Although sandals are extremely comfortable they can also be hazardous. They offer less protection and are less secure than regular footwear. If you have fallen on any type of slippery substance, you will have to prove the accident was caused by lack of warning. Taking pictures of the accident can be very helpful. Without pictures it will be difficult to prove the accident was the property owner’s fault. It might not sound fair to you after all the trouble you have gone through. But this is the cruel reality of litigation. Photographs are the best evidence to prove the accident actually occurred. Your attorney may access pictures from the premises owner when these are available but this may not always be the case. The attorney will also read the owner’s maintenance and repair policies and analyze the records. Although this evidentiary support can be useful it might not be sufficient to describe the accident scene and understand how it all happened. Handrail problems such as wrong height, no handrails or only one in place. Problems with the depth of steps. If you want to find out whether a staircase has a design problem, your attorney will request construction records and check how building codes were violated. Slip and fall accidents are very common in the summer. People are outdoors exposed to all kinds of things that can put them at risk. Injuries sustained in a slip and fall accident can have lasting effects. Although summer accidents can be prevented, there are times when even the most cautious person will experience them. In order to recover medical expenses, lost income and receive compensation for pain and suffering, you may have to file a lawsuit. This is oftentimes the only away to get these complex legal issues resolved.